Hand carved from white jade, the WaveStone retains both heat and cold, so enabling more efficient treatments while also protecting your wrists, hands, elbows and fingers. 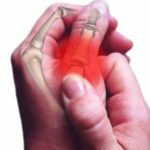 Therapists’ wrists, hands, fingers and thumbs can often hurt after long days treating clients and, over time, increasingly take longer to recover. The WaveStone provides significant protection, without limiting therapists’ feel for the treatments they are undertaking, so prolonging careers and safeguarding livelihoods. When his hands started hurting after practising as a sports therapist for less than ten years, Adrian Jenkinson (the inventor of the WaveStone) decided that he needed to find a solution. With a heavy case load that required the treatment of a wide range of sports and work-related injuries, he realised that this was taking a toll on his body and that he had to take action if he was to safeguard his long term career. Recognising that heat and cold are key components of many treatments and having experimented a little with hot stone products, he rapidly came to the conclusion that if he could combine the warming qualities of a stone with a tool that was carved so as to allow him to treat the whole body, he could both protect his hands and enhance his client treatments. The result of much research and development is an ergonomically shaped stone tool, handmade from white Jade (an excellent conductor of far-infrared) that can be placed in hot or cold tap water and which retains heat/cold for up to five minutes. How can the WaveStone help prolong my career? How long does it take to heat or cool the WaveStone? 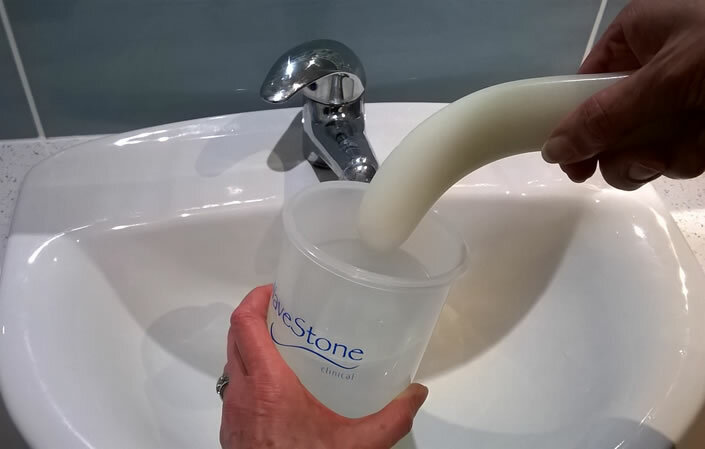 The WaveStone’s unique properties allow it to be warmed and cooled in a matter of minutes using domestic tap water. Most other hot stones require their own heater and take up to half an hour to be made ready for use, while cold massage stones need to be frozen. Why is the WaveStone made from Jade? Jade is the most efficient natural far infrared heat absorber of all the semiprecious stones. Studies demonstrate that far infrared helps enhance circulation in the skin, ease pain, relieve inflammation, protect against oxidative stress and modulate sleep. Jade is the most efficient natural infrared heat absorber of all the semiprecious stones. 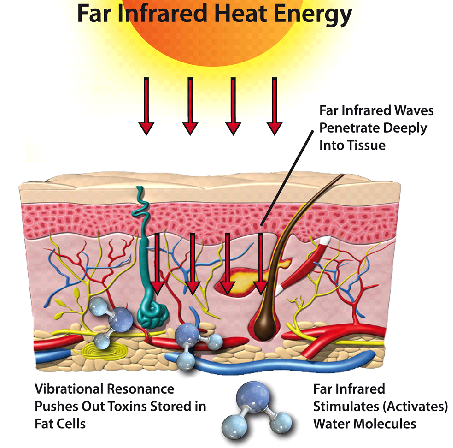 The human body receives infrared waves every day from sunlight. Far infrared is a very safe form of thermal energy which heats objects rather than the surrounding air and can penetrate several inches into the body, easily reaching joints, tendons, muscle tissues and ligaments. Delivered via the WaveStone, far infrared is capable of penetrating deeply, gently elevating the body’s temperature and thus enhacning its functions. It also creates negative ions – the human body is positively charged, and introducing it to a negative ion environment (such as that found at the seaside) is therefore both calming and soothing. Studies demonstrate that far infrared helps enhance circulation in the skin, relieves inflammation, protects against oxidative stress and modulates sleep. Far infrared’s thermal effect in deep layers of body tissue cause blood vessels and capillaries to dilate, thus improving blood circulation, increasing the amount of oxygen in the blood and promoting both rapid healing and a feeling of wellbeing in mind and body.